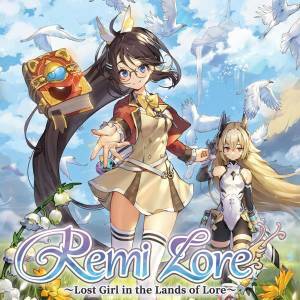 RemiLore take control of Remi, an ordinary high school student who accidentally awakened a grimoire called Lore which resulted to both of them getting transported to the magical world of Ragnoah. Remi and Lore must fight through hordes of mecha-monsters that overrun Ragnoah, in order to find their way home. The appearance of the mysterious android named Choux and strange obsession to Lore didn’t make the journey any more better. Welcome to the our unofficial guide for the game. Please use the menu on the right to navigate the guide. In this guide, we will cover the basics, tips, and other fundamentals in enjoying this short but wonderful game from Nicalis. How large is the game? What are the available game modes? How do I continue my progress? How does the game’s weapon system work? How to get more spells? What spells are worth keeping? How does Co-op Work in the Game? What can you unlock after completing the game?